SEIU doctors' council press conference at AFL-CIO. 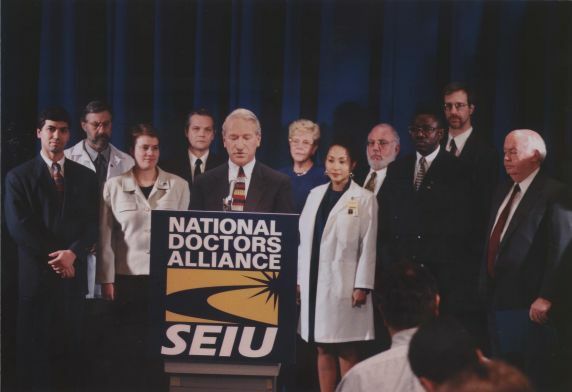 Local 434B homecare workers election and press conference in 1999. Andy Stern speaking at press conference with John Sweeney on the far right.